This stealthily speculative look at invasion and oppression in Australia is as difficult as you'd expect, but accomplished and rewarding. 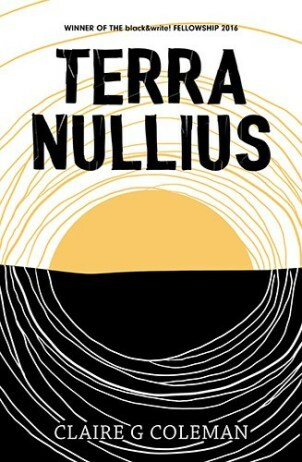 I thought I knew what to expect, going in to Terra Nullius. I'd seen the book recommended on speculative sites, I'd read enough about it to know that its take on colonisation and extermination of indigineous people was almost but not quite based on the experience of Australia's indigenous communities following the British invasion in 1788. And yet, by a hundred pages in, I was starting to doubt what everyone and everything (including the book's own blurb) was telling me. Was I missing clues to a larger mystery? Were there adjectives that I was misreading or apparently historical references that I was misinterpreting? Where, to be blunt, was all the science fiction? Of course, if you're paying attention, that's an intentional feature of Claire G. Coleman's brilliant debut novel, which offers a perspective on the invasion of Australia which is very much a speculative novel, and yet still inexctricably and uncomfortably intertwined with the real historical treatment of Aboriginal Australians over centuries of white rule. Coleman herself is Noongar, a community from the south coast of what is now Western Australia, and Terra Nullius is the product of a black&write! indigenous writers fellowship. Despite being a first novel, this is a book that's utterly confident both in its content and its narrative structure, and for very good reason. 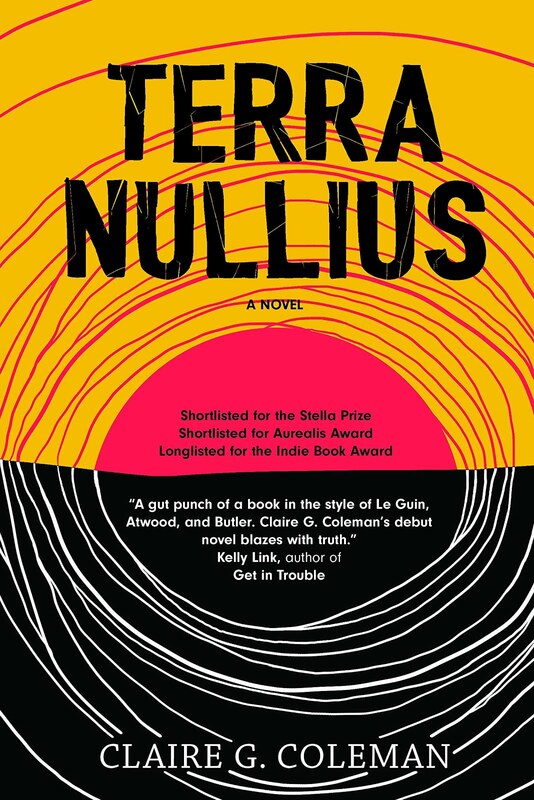 Terra Nullius incorporates the stories of a rotating cast of both Settlers and Natives living in Australia, from the few remaining natives living in precarious remote settlements, to variously well-meaning or abusive nuns running homes for Native children, to turncoat Settlers trying to find their place (with all the unconscious bias and assumption of primacy that entails) among the Native resistance. Its heart, however, is Jacky, a young Native who has just escaped from the abusive clutches of the abusive religious "school" where he and other children were slowly starved and locked up in cages at the slightest provocation. Jacky is now running across the continent in the vague hope of finding the place he was originally taken from, despite no memories and very little hope that it will still be around. Jacky's story, centred around the energy of his desperate, hungry run, forms the backbone of Terra Nullius around which all the other narratives intertwine and eventually come together in brutal but not hopeless conclusion. As noted above, there's a very distinct turning point in Terra Nullius. In the Small Beer Press paperback version, it sits in what an initially unassuming sentence at the bottom of page 121, just under halfway through the book. It brings the science fictional elements to the fore by changing the context of information that the reader is receiving and catches us up with visual and historical clues which are, of course, immediately available to everyone inside the narrative. As a literary device, I'm sympathetic to people who find this kind of artificial mystery frustrating and hard to get past, but in the case of Terra Nullius I think it's used to great effect, especially if you're already aware that something is going on. By setting up a narrative where we understand that there's a twist of some kind, but not exactly what it's going to be, Terra Nullius invites us to constantly question what parts of its story we believe, and to engage with the sense of historical reality in its first half, and the speculative elements are tied to that historical record in a way which reinforces the things we found plausible and drives home the implications of those parallels. It's a device reminiscent of the sudden left turn into speculative content in recent horror films like Get Out and Sorry to Bother You and it has a similar impact here, even if the execution is different in novel form. It transpires, of course, that despite the fact this is the Australia of our world, the division between Settlers and Natives is not one between Australian Aboriginals and White European invaders, but between the remnants of the human race and a grey-skinned amphibian species of aliens who are generally referred to as Toads. The Settlers have basically exterminated humanity from most of the earth, with only a few outposts like dry desert Australia where they are completely unsuited to living which remain the last frontiers of human freedom and resistance. There's a very clear and artificial language shift after the initial reveal happens, and suddenly the discussion of Toads' different physiology and tolerances are everywhere in a way which re-contextualises elements like the slow starvation of children in the nun's school or the references through Settler eyes to Australia's hostile alien landscape. As noted above, there are characters like Johnny Star, a former trooper who abandons the Settler cause after being forced to participate in a massacre, and Sister Mel, one of the few nuns who acts compassionately to children in her care, which introduces complexity to the cast of characters without letting the Settler mentality as a whole off the hook. The success of this story for a reader is likely to stand or fall on the success of the twist, and for me it was extremely effective on every level. Each chapter is preceded by historical quotes and extracts dealing with policies towards Natives, taking a variety of tones from condescendingly paternalistic to backing outright extermination, interspersed with some stories and perspectives from Natives themselves. It took until the "turning point" for me to begin questioning the veracity of these records, as they line up so exactly with the kind of historical records we'd expect to see from the historical records of policy towards Aboriginal people in Australia. In revealing that these were not real documents, Terra Nullius really makes us think about why they might be real, and what it says about humans that yes, this really was how we compartmentalised and exterminated our own in the not-at-all-distant past. 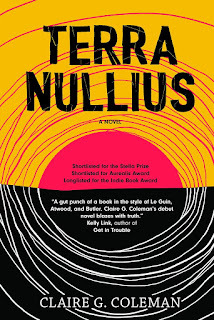 As Coleman points out in her Author's Note at the end of the book, the concept of Australia as "Terra Nullius", empty land open for the taking, was not overturned in Australia's legal system until 1992, and the real historical events which inform narrative elements like the School and the oppression that the free Natives are running from are still very much felt in Australia today. Terra Nullius is a hard book, full of desperation and powerlessness against an unstoppable system which has ground its victims into dust. However, it's also an important story from a perspective which remains marginalised and under-understood, and one which I'm very glad I made time for. I'm continuing to expect more good things from Coleman, whose second book is due out in Australia later this year, and I'm extremely grateful that her voice and perspective has reached the global SF conversation.